In an exciting milestone for Guardian Early Learning Group, we are now the proud owners of 100 of Australia’s finest early learning centres. Since starting out 13 years ago, Guardian has built and acquired high quality early learning centres all over Australia supporting thousands of families who entrust their little ones with us. 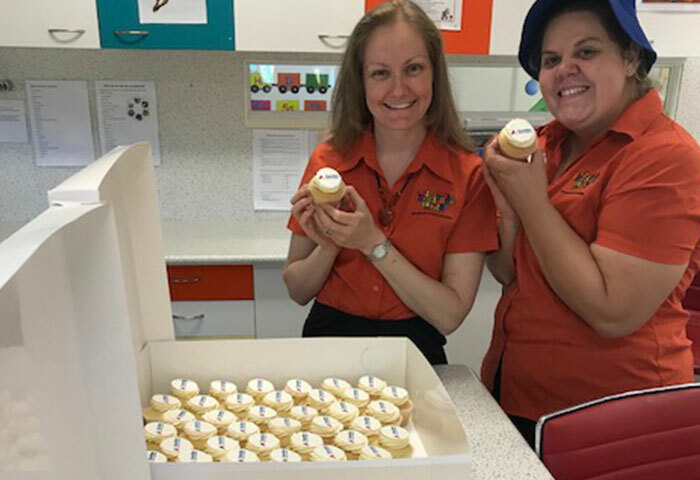 To welcome Hopscotch House into the Guardian family, we sent over a very special delivery of 100 balloons and 100 cupcakes to the centre’s educators and families. We are excited to have them join Guardian and help us shape the world of tomorrow through the children of today. A warm welcome to Hopscotch House and congratulations to everyone who made this happen.